MARTIN J. HEISTEIN became a Partner of the firm in 1992. He is Co-Chair of the Firm’s Administrative Law Department. Mr. Heistein is involved in diverse proceedings before the New York State Homes and Community Renewal (HCR), New York City Department of Housing Preservation and Development (HPD), including MCI, J-51 and 421-a applications, the NYC Environmental Control Board (ECB) and the NYC Department of Buildings (DOB). He practices administrative law, representing property owners of rent regulated housing and developers of 421-a new construction, hotel stabilization and single room occupancy issues and Certificates of Non-Harassment. His major concentration is the representation of many buyers/sellers of rent regulated housing in connection with rent regulatory due diligence issues. He also provides advice and representation in connection with affordable housing issues. Mr. Heistein was the former General Counsel to the Rent Stabilization Association of N.Y.C., Inc., New York City’s largest real estate trade association whose 25,000 members own or manage over 900,000 housing units. Mr. Heistein served as General Counsel for seven years. He is very knowledgeable in the Rent Stabilization Code, having been responsible for analyzing the Code on behalf of property owners while at RSA. Mr. Heistein was formerly responsible for drafting legislation in the State Legislature and the City Council and continues to specialize in governmental relations. Mr. Heistein has also been a member of New York State Homes and Community Renewal’s Owner Advisory Council. He works very closely with real estate industry groups, such as RSA, SPONY and CHIP, where he is a member of the Advisory Board. 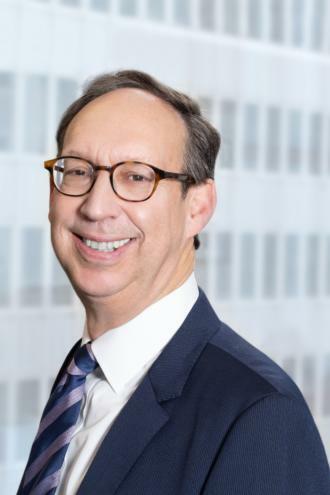 Mr. Heistein is a member of the Landlord and Tenant Committee of the New York State Bar Association He has also served as a member of the Committee on the Housing Court of the Association of the Bar of the City of New York. He has written numerous articles in the areas of housing and rent stabilization and has lectured at seminars sponsored by the Rent Stabilization Association, Associated Builders and Owners and at the Small Property Owners of New York, Marcus and Millichap and the Massey Knakal Multi-Family Summit.